You can now change the orientation, paper size, and page color Docs on Android. In Sheets, you can use the IMAGE function to view images inside of cells. Docs now supports exporting your files in the EPUB (.epub) and OpenDocument Text (.odt) file formats. 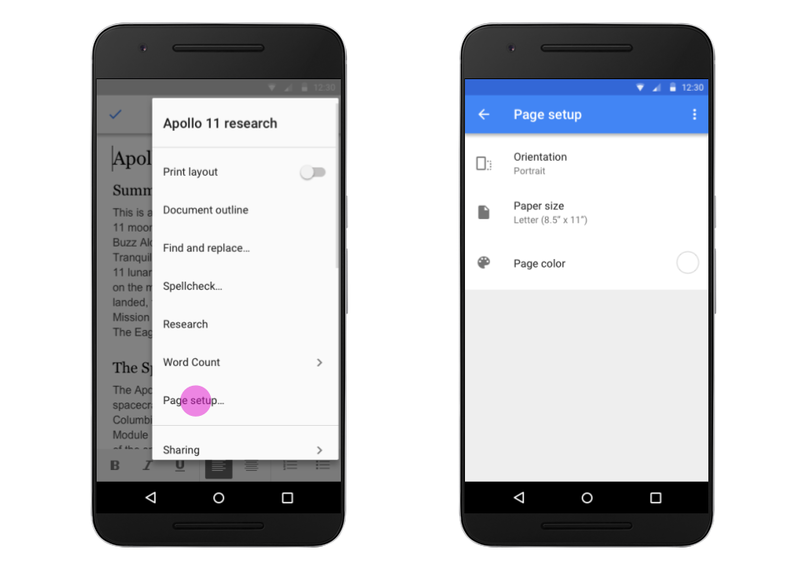 Additionally, you can now import OpenDocument Text (.odt) files from the Android app. Similarly, you will now be able to import and export OpenDocument Spreadsheets (.ods) in Sheets and OpenDocument Presentations (.odp) in Slides. Please note: these features are only available when the device is online. When the device is offline, an error dialog will show saying "Data connection needed to open this file type".